according to george bernard shaw - life isn't about finding yourself, it is about creating yourself ! are you ? 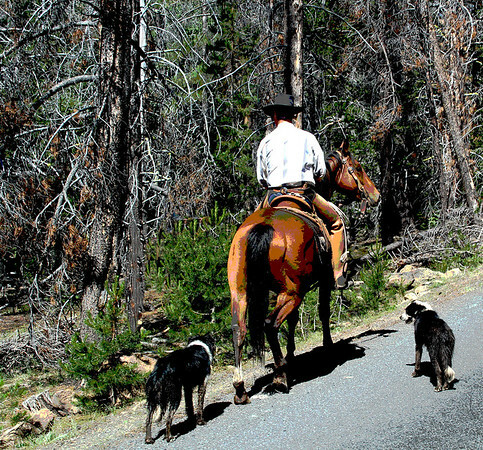 winema national forest, oregon -- while driving to see the forest, came across a rancher rounding up his herd to move 'em for the season. had to look a little extra hard for the strays.